This week, Your News to Know rounds up the latest stories involving gold and the overall economy. Stories include: Gold is playing the long game, it’s time for contrarians to get bullish on gold, and gold is Turkey’s only hope of saving the lira. According to a recent Kitco article, gold’s summer rut could turn out to be just that, as analysts agree that there are good things in store for the metal in the fourth quarter and beyond. Kitco’s senior technical analyst Jim Wyckoff believes, despite bleak data from the latest CFTC report which showed traders assuming a record number of short positions, gold could get back on track as soon as next week. In fact, the overwhelming bearish sentiment is a sign that a reversal is around the corner says TD Securities commodity strategist Ryan McKay. And the rebound will be supported by a pick-up in physical demand due to lower prices, said ICBC Standard Bank commodities strategist Marcus Garvey, with India once again assuming the top buyer’s spot. 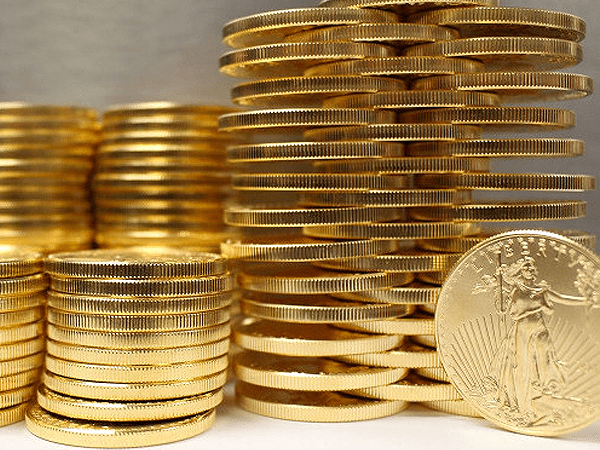 Garvey added that even the slightest sign of economic weakness in the U.S. or news of lowered trade tensions could be enough to send gold back to the winning column. Multiple analysts see gold gaining up to $100 an ounce before the year ends, with TD Securities listing $1,250-$1,275 as a likely range by December. ABN Amro’s precious metals and diamond analyst Georgette Boele listed $1,250 as the firm’s year-end forecast, adding that gold will be helped along by a recovery in the Chinese yuan. In the longer term, Garvey thinks that gold could recapture $1,300 an ounce over the next six months. ABN Amro predicts that gold will close next year at $1,400 an ounce, while Capital Economics sees the metal reaching $1,350 by end-2019 and $1,400 by end-2020. Capital Economics commodities economist Simona Gambarini said that the Fed could be forced to lower interest rates as U.S. growth slows, allowing gold to outperform both the dollar and the euro in the coming years. As Turkey’s economic woes deepen, Forbes’ Frank Holmes points out that gold is yet to catch a break from safe-haven demand on the international stage. Among Turks, however, he says the metal is as popular as ever. Turkish president Recep Tayyip Erdogan responded to economists’ pleas to introduce a standard central banking policy by urging his citizens to convert their liras and other currencies to gold. The country remains one of the largest gold buyers in the world, ranking as the fourth biggest consumer of gold jewelry with a 13% year-on-year increase in demand. Turkey’s central bank is likewise inclined towards the metal. Their 38.1 tons of bullion purchased in the first six months of 2018 amounted to an 82% increase compared to the same period last year. To Holmes, now is a good time for contrarians to assume a bullish stance on gold. He notes that gold’s weakness this year stems almost exclusively from a strong dollar. Despite rallying since January, the greenback has only recently broken even whereas gold is still up in the 36-month period. The metal has been hitting higher lows since its breakthrough in December 2015, and the fact that it’s down two standard deviations in the past 60 days suggests that a rebound could be imminent. While market watchers offer their grim predictions for Turkey, a senior economist at the Johns Hopkins University has put forth an easy solution to Erdogan’s troubles. According to TheStreet, Steve Hanke, professor of Applied Economics at the university, said in a recent interview that the country would be best off by creating a currency board and anchoring the lira to gold. “Under a currency board arrangement that was gold based, the lira would trade at a fixed exchange rate to gold, be freely convertible, and it would be fully backed 100% by gold. So, the lira would literally be as good as gold,” he said. Hanke noted that the move would eliminate Turkey’s long-running problem of inflation, bringing the rate from 100% on an annual basis to nothing overnight. Hanke thinks that a gold-backed currency is Turkey’s only option right now, as capital controls are out of the question and rate hiking is unfeasible given the country’s high inflation. Barring this decision, Hanke is adamant that Turkey and its currency could be facing an economic crisis on a scale similar to Venezuela, whose inflation is expected to hit 1 million percent by the end of the year.